IFC is an independent fingertip guide to the leading medical aids in South Africa. It provides an incisive online overview of each medical aid service provider with a focus on key financial indices, unique benefits and the category of beneficiary base it targets. There’s a brief synopsis of each medical aid plan together with information on the providers’ wellness programme while downloadable application forms have been integrated into the site for ease of use. 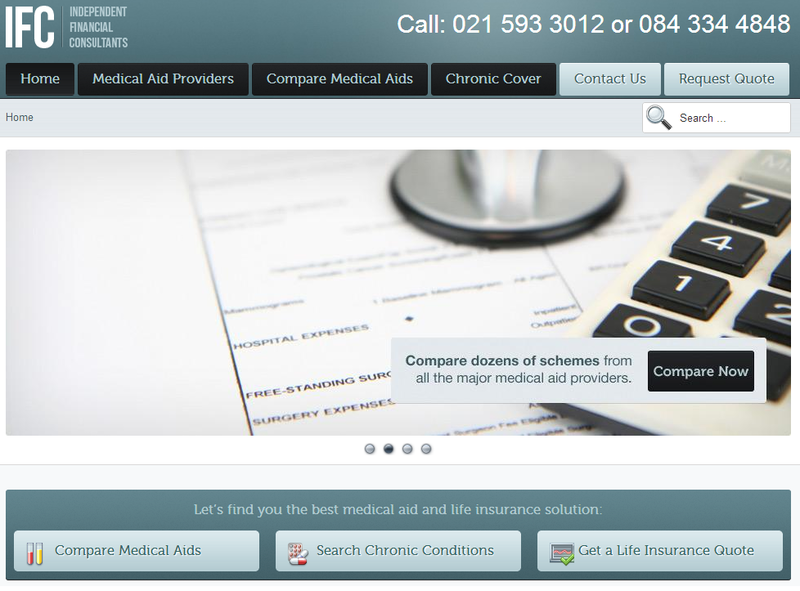 A user friendly comparative tool enables quick, efficient and precise medical aid comparisons with the click of a mouse. All the medical terminology and chronic conditions have been listed online to assist clients in making an informed choice as to the best medical aid that can be tailored to individual requirements. In an effort to generate an unbiased medical aid comparison, IFC has developed a system whereby prospective clients can select medical aid plans - from entry level to comprehensive – that offer similar benefits from easy to use drop down boxes. In and out of hospital benefits including Overall Annual Limits, chronic benefits, GP and specialist benefits, day to day benefits and maternity care are tabulated for ease of reference together with current monthly contributions. As part of its comprehensive service, IFC offers instant medical aid quotes. Clients can either download application forms directly from the website or request a quote online. IFC consultants are at hand to process these quotes quickly and efficiently. Current financial indices such as global credit ratings, solvency & pensioner ratios and beneficiary numbers have been included where possible to reflect each medical aid’s intrinsic ability to settle claims in full and on time. This page was last modified on 3 December 2012, at 21:41.